We welcome Nav Johal to our member’s directory or ‘Little Green Book’ as we like to call it here at Ealing Connect. Examberry is a specialist 11+ tutoring company which helps young children learn in a fun and encouraging environment. 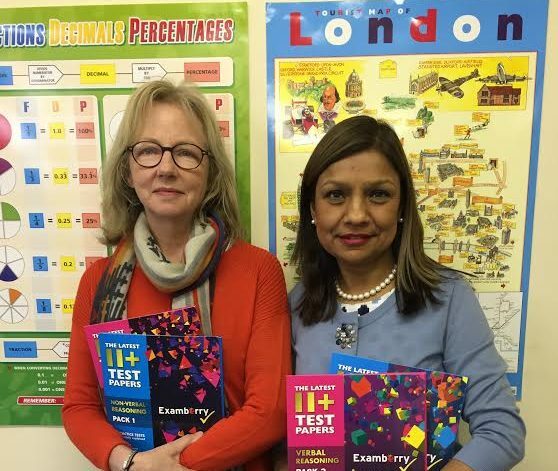 Examberry focuses on preparing children for entrance exams for both Grammar and Independent Schools. Our classes are small and friendly and have a maximum of 7 or 8 children. We encourage competition – in a positive way in order to get the children to work to their full potential. Our tutors have one goal – to teach, to support, to encourage and of course to succeed. I can’t put into words our delight when we see a child blossom and do well after a few classes. Their joy is our joy.